Florida Survival Gardening: Today at the 326 Community Market: Blueberries! Natal Plums! Today at the 326 Community Market: Blueberries! Natal Plums! 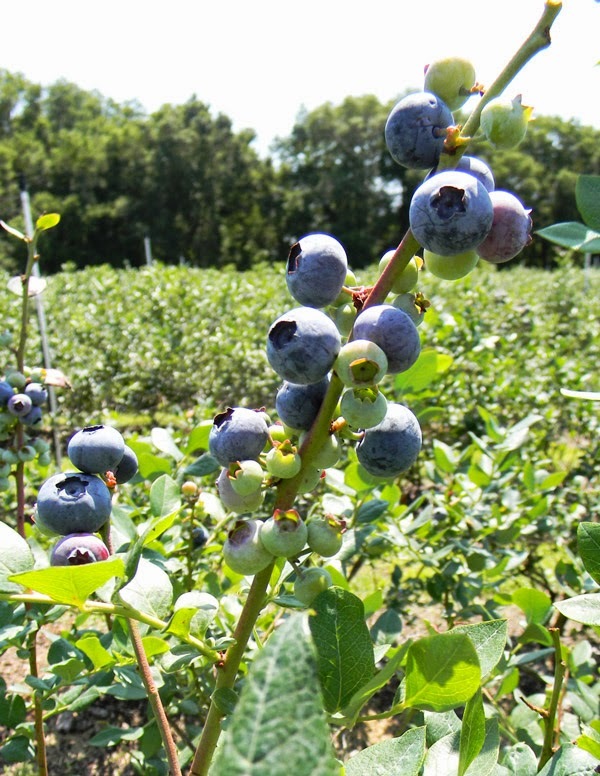 Florida Food Forests has now got a bunch of blueberries and fruit trees in stock. Come on down to the market and pick some up. Even if you live in an apartment you can easily grow blueberries in large containers. I will have rabbiteye and Southern Highbush types, plus I might still have a few native varieties. They're just $9 a pot. Natal plums are a beautiful shrub with an edible plum-like fruit that tastes somewhat like raspberries. The variety I have is experimental for this area. The mother plant is 10 years old and growing in Citra without protection. I know it survives the cold but it may or may not fruit. I'm betting it will with proper nutrition - we'll all try them together and see what happens. The Google map for the 326 Community Market is here, and their Facebook page is here (with lots more photos and info). My prices are good and my gardening advice is free... come see me! "King David" Apple Graft is Taking!